Human resources systems have to support the process approach (Hammer, 2007). Process-oriented HR-systems incorporate job descriptions based on business process design and incentive systems that emphasize the process’ needs. This article discusses empirical insights on process-oriented HR-systems using the results of the process management survey. Survey details (research design, sample, etc.) can be found here. 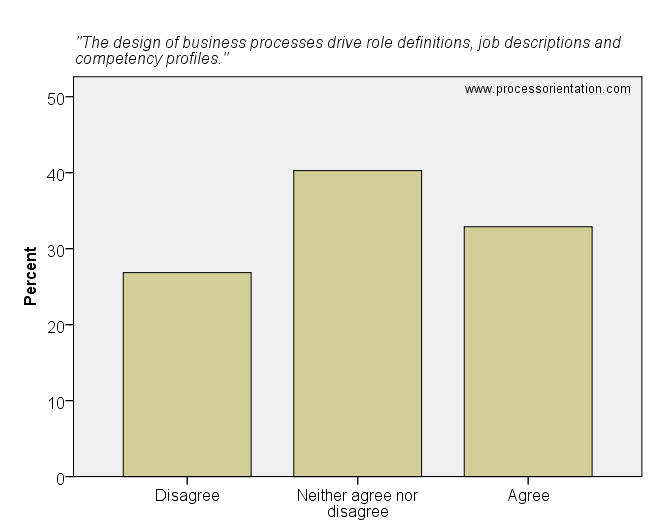 Process’ design drive role definitions, job descriptions and competency profiles. 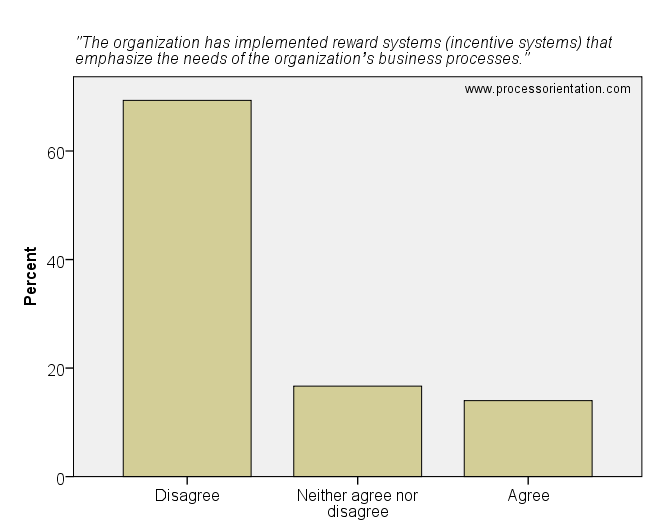 The organization has implemented reward systems (incentive systems) that emphasize the needs of the organization’s business processes.